Will Appivo win the Örebrogalan Innovation of the Year award? Örebrogalan is a local event that takes place in Örebro, Sweden. This event, or gala as it is, is supported by several local organizations to promote innovation, extraordinary achievements and the region of Örebro as a whole. This year will be the eighth consecutive gala. 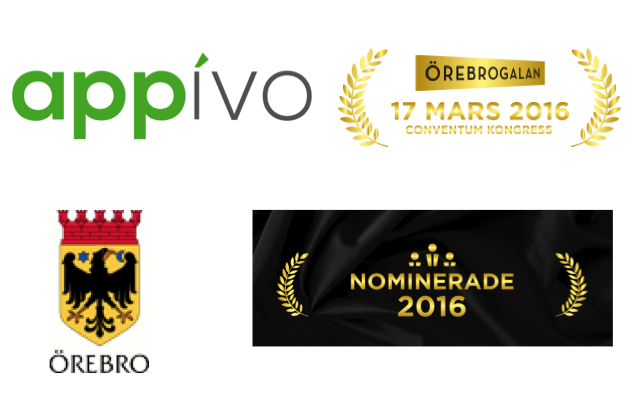 Örebro also happens to be the city where Appivo has its headquarters and we are very proud to announce that we’ve been nominated for the “Innovation of the year” award with two other brilliant entrepreneurs (you can read more about them at www.orebrogalan.se). Ok, I am of course a little biased but I will hereby argue for Appivo and why we should win without taking the competition in consideration. Let them argue their own case. A great innovation should fundamentally change or enhance existing procedures and methods. Appivo has a goal of empowering everyone with an idea to be able to turn their idea into a mobile application – developer or not! OK, there are some seemingly similar solutions out there for the IT world; some of which actually produce quite useful and powerful web applications. However, Appivo takes it a lot further by letting non-developers formulate their own computer models just like a trained engineer would do it. This process has many benefits compared to relying on prebuilt plug-ins as Appivo users don’t get locked into a model designed by someone else. Anyone who has any experience with IT projects knows that transforming a concept to a ready-to-use application is often a long and winding road; especially as the concept evolves. There will be requested add-ons, pivots, demands for new design and so forth. This is tricky even for an experienced developer, and for a novice, impossible. Appivo changes this and will let the future mobile and web-applications be developed by you. A great innovation should have global potential! Especially since one of the main purposes of Örebrogalan is to promote regional development and stimulate businesses in the region to grow outside of Örebro and Sweden. Appivo is a top of the food chain concept. It is not a thin film layered over existing platforms. 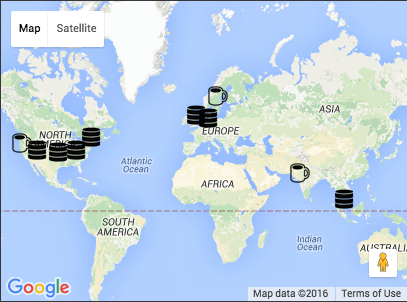 We have our own platform; our own cloud layer. Everything we do is built by a small international team, headquartered in Örebro, Sweden. Even though our team is international and always will be, and all our progress is an international effort, none of our competitors has the potential to put Örebro on the map like Appivo does. In addition to Appivo’s own goals, we firmly believe in supporting the next generation of tech talent and innovators. That’s why Appivo is partnering with local schools like Örebro University to sponsor X-work projects, and hosting Silicon-valley style tech meetups for all students. Our recent meetup was a huge success and w e were incredibly impressed by the students in attendance. If they are any measure of things to come, then Örebrogalan is going to have to expand its innovation category. I don’t know how the innovation nominees are scored, but if I had to guess then the Appivo scorecard will look pretty good. Win or lose, Appivo is dedicated to disrupting the global tech world, to the local Örebro business and tech communities, and to being an innovative tech ambassador from Örebro to the rest of the world. Are you going to Örebrogalan? We hope to see you there! If you can’t make it to the gala then you can follow us on Facebook, LinkedIn and Twitter, and sign up for our mailing list. Previous: Previous post: Appivo Meetup in Örebro | Feb 11th | Register Now!